The sixth album from this Swedish band. 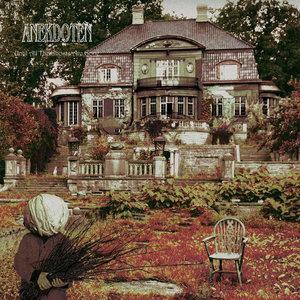 Anekdoten has got a well deserved legends status in the prog rock scene. This band was one of these bands who kick-started the prog rock scene again after this scene's long hibernation. The band returns again after eight years. The band is now a four piece with a lineup of mellotrons, guitars, bass, drums and vocals. Three guest musicians, including Theo Travis on sax and flutes, makes this album complete. I am slightly surprised how laid-back this album is. The band sounds a bit like Gazpacho on this forty-six minutes long album. There is a lot of pastoral mellotrons here. The vocals is very pastoral too. The whole album is very pastoral and melancholic. The Swedish sadness makes a return on this album and that with a vengeance. The songs are not that great and I am a bit disappointed by this album. At the first listening sessions, that is. But this album has this ability to creep below the skin of the listener....... and stay there. No great songs, but an overall great album from this band. Hence my rating.